This is a roundup of all the breaking news from around the Las Vegas valley for September 26, 2018. North Las Vegas police are investigating a critical incident where a man suffered life-threatening injuries in a confrontation. Authorities responded to the area of Carey Avenue and Belmont Street with reports of two groups involved in some sort of conflict. NLV police said the victim was transported to the University Medical Center due to the severity of his injuries sustained. The situation remains under investigation, according to police, with no suspects in custody or the known relationship between the groups. One person has died and another is in critical condition after a rollover crash on State Route 160 near Tecopa Road. Nevada Highway Patrol said the two adult male occupants were ejected from a green Ford Explorer. Mercy Air transported the injured to UMC Trauma. Expect delays in the area. 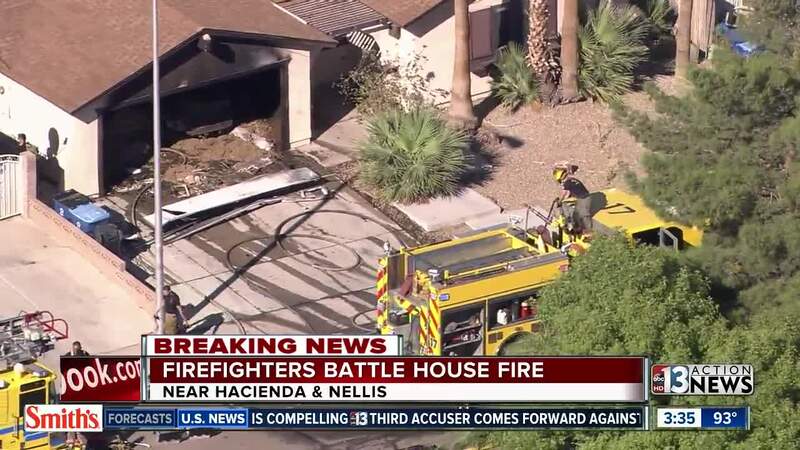 Firefighters responded to a house fire near Nellis Boulevard and Hacienda Avenue. No other details have been released. Las Vegas police are investigating after construction workers found a body in the desert area of 4600 block of South Las Vegas Boulevard, near Russell Road, just north of Little Church of the West. Police said the death appears to be the result of a crash. Fatal Detail is investigating. Police say the man stabbed earlier this morning was stabbed by his older brother, who has been detained. The victim is in the hospital and is stable. He is expected to survive. There is no information on what led to stabbing. 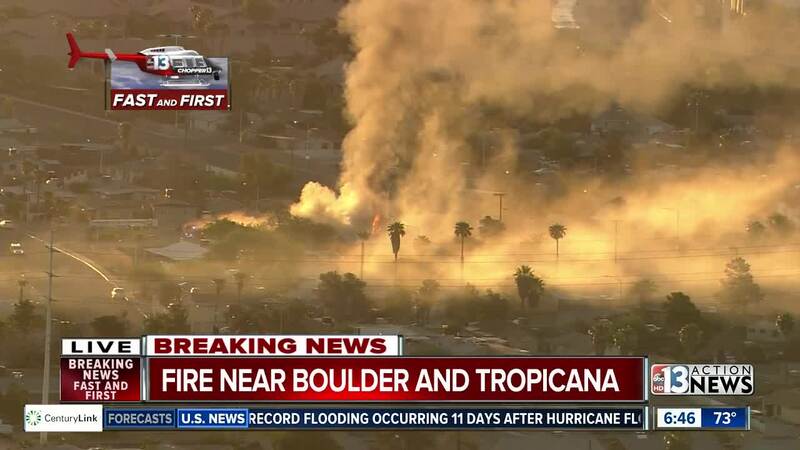 Firefighters are on the scene of a fire near Boulder Highway and Tropicana Avenue. 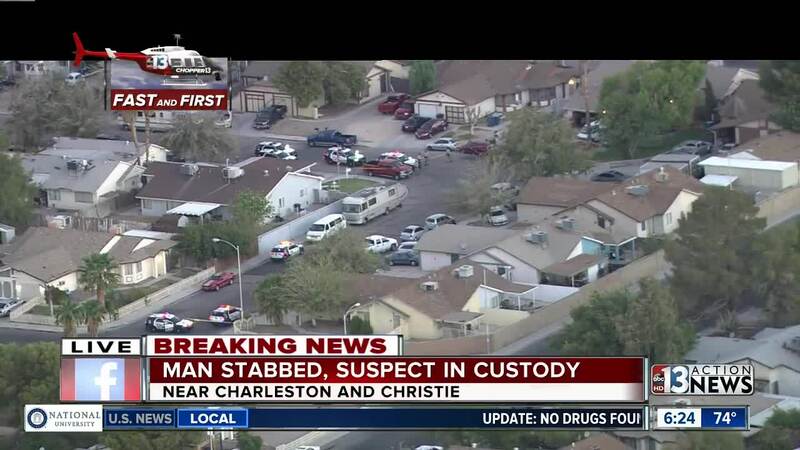 Police say a man has been stabbed near Charleston Boulevard and Christie. The victim was transported to a hospital and is stable. A possible suspect has been detained. Police say the stabbing was domestic related.